Product prices and availability are accurate as of 2019-04-23 21:45:29 MDT and are subject to change. Any price and availability information displayed on http://www.amazon.com/ at the time of purchase will apply to the purchase of this product. How exciting! Your little one is about to have his or her first pillow, made just for them! We manufacture one of the best toddler pillows you will ever find. Measuring only 13" X 18", our toddler pillow is tailor-made for children ages 2 and up. This pillow's coziness, warmth and comfort will make your little one feel safe, relaxed, and right at home. They will want to take it everywhere with them and will look forward to having a restful sleep or nap. USDA CERTIFIED ORGANIC - Not misleading 'chemical free' claims. With our Little One's Pillow we managed to create a product of unmatched craftsmanship. 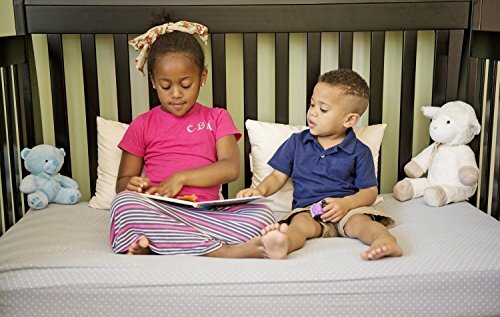 The supportive, premium hypoallergenic polyester fiber, is covered in the finest organic cotton around, all handcrafted together with great attention to detail. Our proprietary cluster fiber filling makes this pillow soft but long-lasting, with an average lifetime of 3 to 5 years. It will keep it's shape and it will not get lumpy, even after 400 washes! We guarantee it! We spent hundreds of hours testing a variety of pillows with real kids and talking extensively with parents, grandparents, pediatricians and with the kids themselves. The result of our hard work is a pillow that is just right. 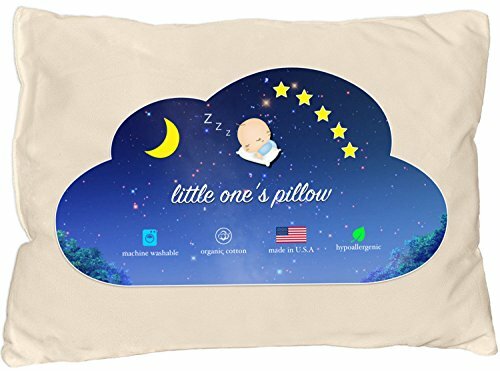 A pillow that adjusts to your child's sleeping habits and complements them perfectly. Little One's Pillow. We stand behind our products and we do everything with such great love and care, for you, our customers. If you have any problems whatsoever with your Little One's Pillow, be it 90 days, 180 days or even a full year after your purchase date, please contact us for a refund or a free replacement, no questions asked. TODDLER PILLOW LOVINGLY HAND-CRAFTED IN THE USA by a company with over 56 years of experience in pillow manufacturing (family founded, owned & operated since 1958) THE SUPER SOFT ORGANIC COTTON SHELL, COMPLETELY CHEMICAL FREE AND USDA CERTIFIED, is dust-mite resistant and vastly superior to any 200 thread count cotton ticking. The filling is a proprietary hypoallergenic polyester fiber that washes extremely well and will never get lumpy. DESIGNED WITH TOP CHIROPRACTORS AND PEDIATRICIANS. We put so much effort, love and care into making each little pillow, and you can instantly tell that by our product's exquisite craftsmanship and it's unparalleled level of comfort. METICULOUSLY TESTED AND INDIVIDUALLY INSPECTED FOR QUALITY, our pillows are perfectly balanced between thin and fluffy and provide just the right amount of support for your toddler's neck, head and spine. 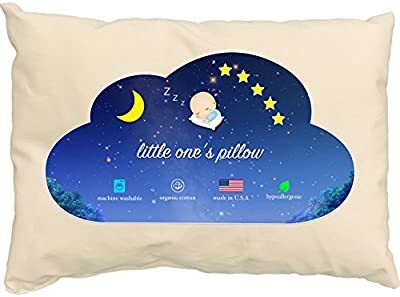 IF THE PILLOW IS NOT A PERFECT FIT FOR YOUR LITTLE ONE, we will send you a custom pillow with more or less filling, and you can keep the old pillow as a gift from us!